• Speed limits for both cars and motorcycles are consistent across the country: 50km/h in built-up areas; 90km/h on secondary roads; 110km/h on highways and 130km/h on motorways. 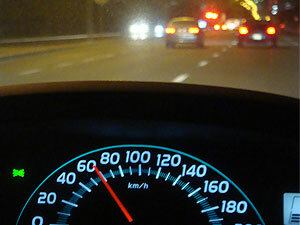 Speeding will earn a fine between 5000Ft to 30,000Ft to be paid by postal cheque or at a post office. • It is the law to wear seatbelts in the front (and back if there is any). • Your headlights must be on throughout the day outside the built-up areas. • Parking costs up to 300Ft on the streets of Budapest (up to 600Ft on Castle Hill). Covered 24hr car parks usually charge around 370Ft to 680Ft and are located below the Millennium Centre at V Vaci utca 25 and V Szervita ter 8 where you can also find Avis Car Rental.